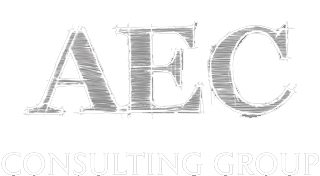 AEC Consulting Group differentiates itself from other recruiting firms in a number of ways. First, we are tireless in our efforts to identify the right fit for our candidates, whether it’s a small, employee-owned firm, a mid-sized privately-held firm or a large, publicly-traded firm that’s best for that individual. We leave no stone unturned in finding the right organization for those people entrusting us with their career search. We work with all level of individuals from project engineers and architects to project managers, division managers, practice leaders and executive management. Secondly, time is of the essence in isolating the right opportunity. We act with urgency in every step of the process—understanding the candidate’s career ambitions, identifying the right firms, setting up interviews, negotiating compensation packages, and closing the deal. Thirdly, we are extremely responsive. Because of the critical nature of considering a job change, we understand that keeping people informed is of utmost importance, no matter what the news. We know it’s important to keep everyone apprised of what’s happening in the process on a regular basis. We understand that job changes are life-altering decisions. We don’t take that lightly. We are sensitive to a candidate’s needs, timeline, and even family dynamics that can be impacted by career decisions. Lastly, we are professional, trustworthy, reliable, knowledgeable, conscientious and hard working—the same traits our clients are looking for in our candidates. Our reputation in the business is outstanding and we are referred to others not only because of our success, but because of these other traits. We form a partnership with a candidate that lasts throughout that person’s career.